Buy Sandra a Coffee. ko-fi.com/whatsandrathinks - Ko-fi ❤️ Where creators get paid by fans, with a 'Buy Me a Coffee' button. Writer, blogger and artist who over-shares her feelings, however humiliating they may be. At least she has a sense of humor about it. And you might even benefit from her mistakes. My coffee-addicted self appreciates your generosity. Not just for coffee... but for my dying phone, my kid's braces, and my ailing car. Thank you ever so much for your support. Secured Payments. 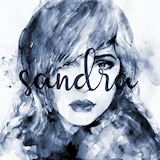 Support goes to Sandra's account. My phone is dying. My kid needs braces. My car needs costly repairs. I can't find a job. Upgrade Sandra to a yearly Gold Membership with a one-time payment.